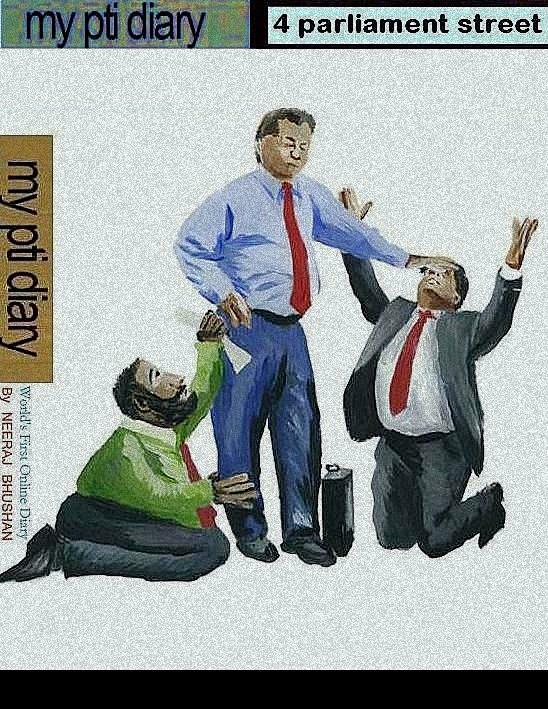 On December 1, 2009, I started writing the online ‘PTI Diary’. First hand accounts were vivid. I also had plenty of related documents and photographs that helped me join the dots. Feedback poured in a way that was mightier than my words. But resource crunch prevented me to continue with my diary which still remains The World’s First Online Diary. Undeterred, I kept on jotting my notes, saving them privately. The process is still on. Meanwhile, I have designed the book cover which has the illustration by Owain Thomas, and the same is being unveiled today. I am open to modifications, though. “Joining PTI at its head office in New Delhi on August 1, 1997 was a good break, despite a meager stipend. We were a lot of 40 odd journalists inducted into the news agency after a difficult written test and screwing interviews. To begin with, we were quite out-placed. The PTI Building, situated at 4, Parliament Street, New Delhi, was then under renovation. Inside, there were no chairs for the new recruits. Either we could afford to stand whole day or prefer sitting on the hands of the old chairs pre-occupied by friendly seniors. We needed to be accommodated and supported. Instead, we were put under strenuous postures while discovering the new job relationship. We were never comfortable. But it was our choice. My friends in the Hindi wing (Bhasha) had no less complicated time. Their whole Hindi service was headless. English service Editor Mr. S. D. Narayan used to double up as Bhasha Editor as well which exertion he would never be fascinated about. I know the miserable computation he would get for the double duty. But he too had no choice. when are we going to read your book? seems interesting! when is the book due for release? Just few chapters are left. And I believe I would be able to get it done in few months from now. Thanks for the interest.